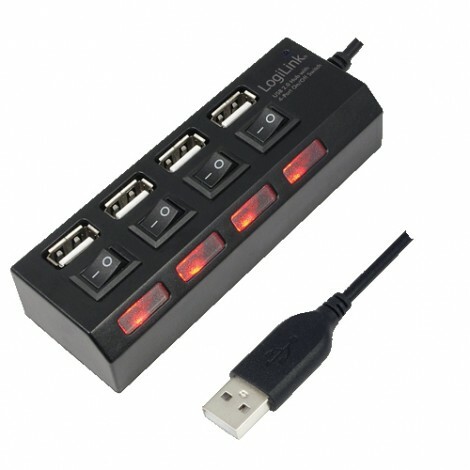 The Hub supports the modern fast USB 2.0 standard with up to 480 Mbit/s and extend your connection by 4 ports. You can also connect older USB devices . An on/off switch for each USB port allows each port to switch off. A 230 volt AC adapter and a USB cable are included.